Last weekend we threw a little Christmas soirée (well mulled wine and mince pies) and that involved a lot of baking on my part. 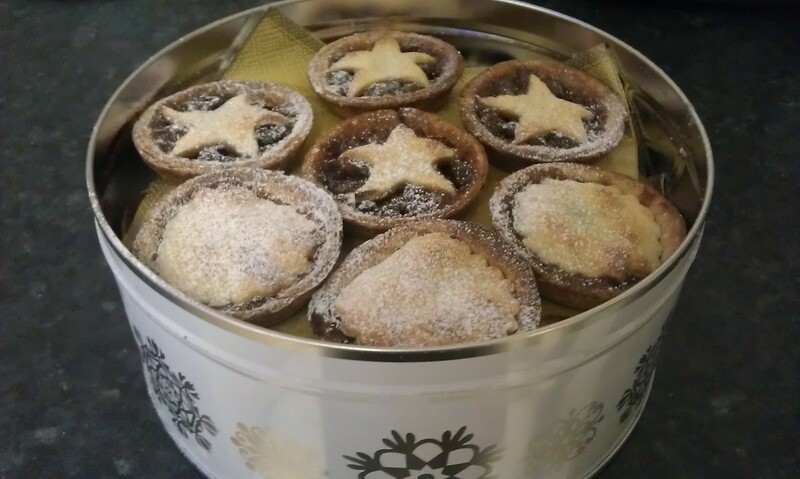 On the menu were mince pies, bread sticks, bread shots and more pfeffernüsse. 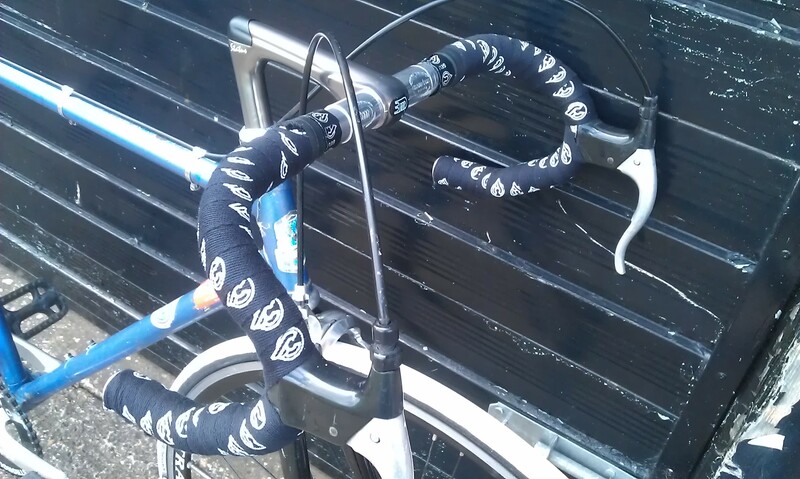 Having given my commuting bike a new lease of life with a Single Speed conversion I have been enjoying riding it around, until it broke on on me. Literally the handle bar just snapped. So I took the opportunity to perform a few repairs / upgrades. Yesterday saw a trip to the velodrome in Newport with a return journey via Shipton Mill. The perfect combination of bread and bikes. The velodrome was great as usual but having never been to Shipton Mill I was intrigued to see what I would find. 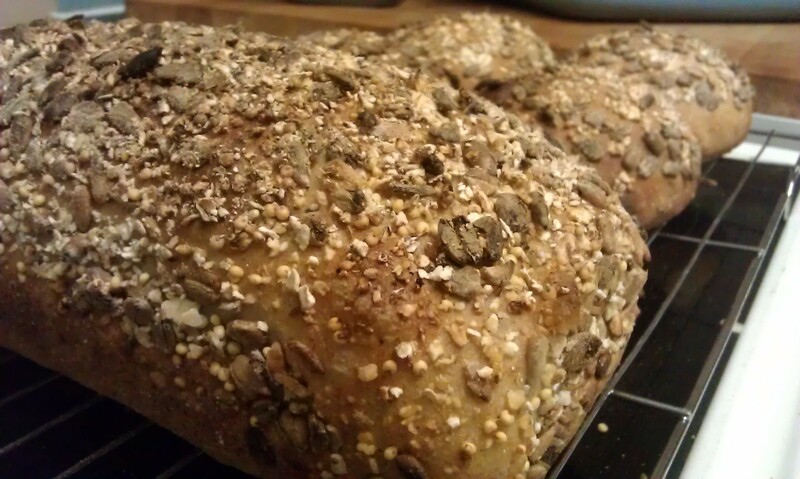 What I left with was 7 kg of new flour and a new book, and that made me very happy. In a quick follow up to my previous post on birthday bread books one of my later presents was a new baking stone. 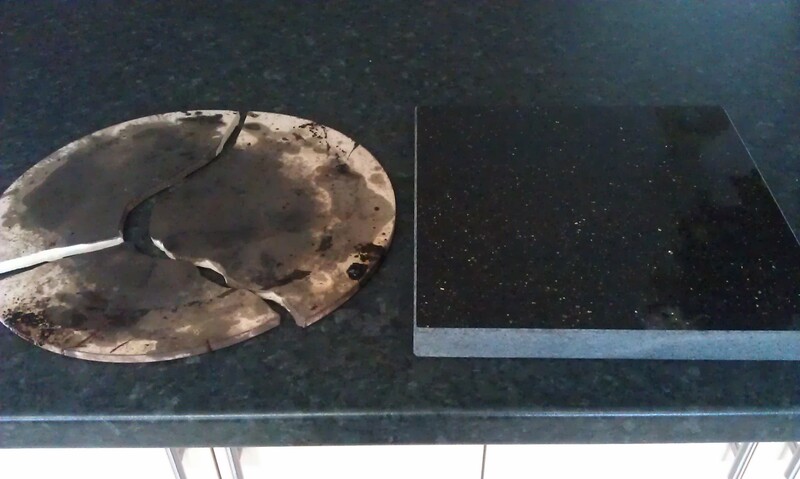 I have previously been using a round pizza stone, but it cracked into three. Whilst this didn’t make it unusable it did become annoying. So have I mentioned it was our Birthday recently. (Claire and I share a birthday, which makes it like Christmas). 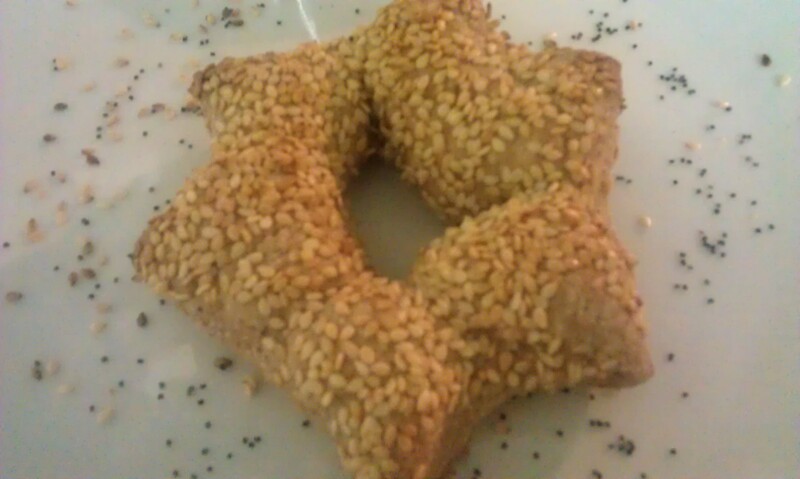 We had various treats and activities planned to celebrate, and a number of them involved bread. Amongst other things I got two new bread cookery books (Dough and The Bread Baker’s Apprentice). Yet another non bread post. I am sorry – don’t worry I have a new book and a loaf waiting to go into the oven so there will be more bread soon. For now you will have to make do with this little bake. Made largely by Claire for a lab meeting, we decided to make something a bit special. 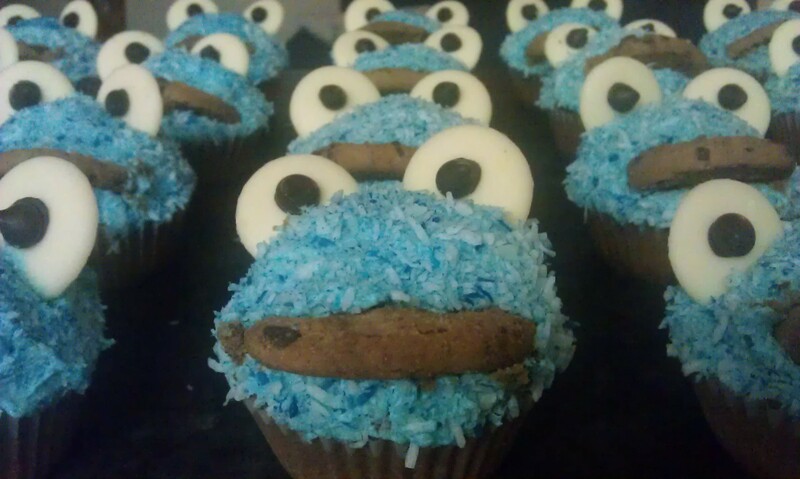 We decided upon cookie monster cupcakes based on a dark chocolate wedding cupcake recipe from Susannah Blake’s Cupcake Heaven. 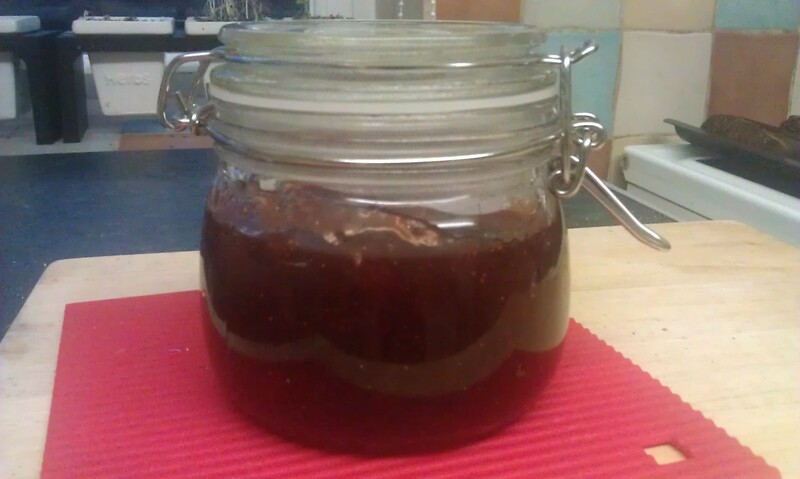 This blog post started as a two parter, the first a Rye Sourdough and the second a Strawberry Jam. Sadly I can not find a copy of the sourdough recipe, so I will have to save that for another day. The jam, on the other hand, is a story worth telling. This is perhaps the most overdue post yet. I bought this product on a bit of a whim back in May and haven’t had a chance to properly test it, until last night. So it’s about time for a review I think. 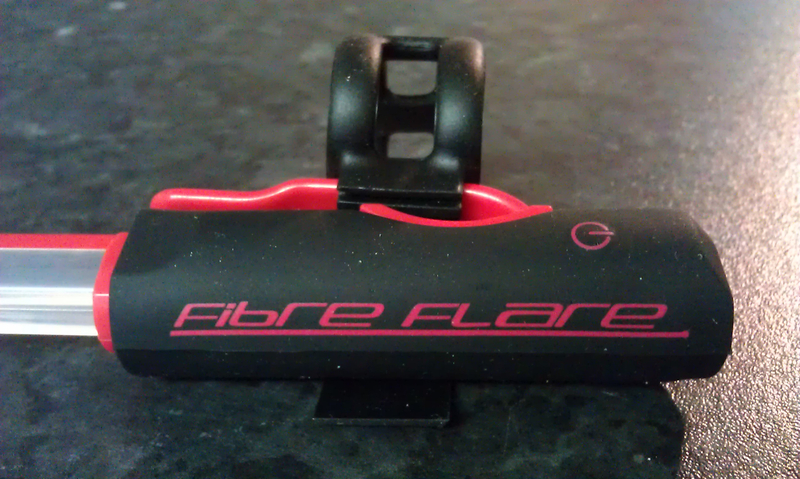 For those of you who don’t know the Fibre Flare is a flexible strip light for your bike / self. Designed to be visible not to see by. So here is the next chapter in my sourdough adventures. Yet another attempt, and yet more room for improvement, yet somehow I really feel like I am getting somewhere. 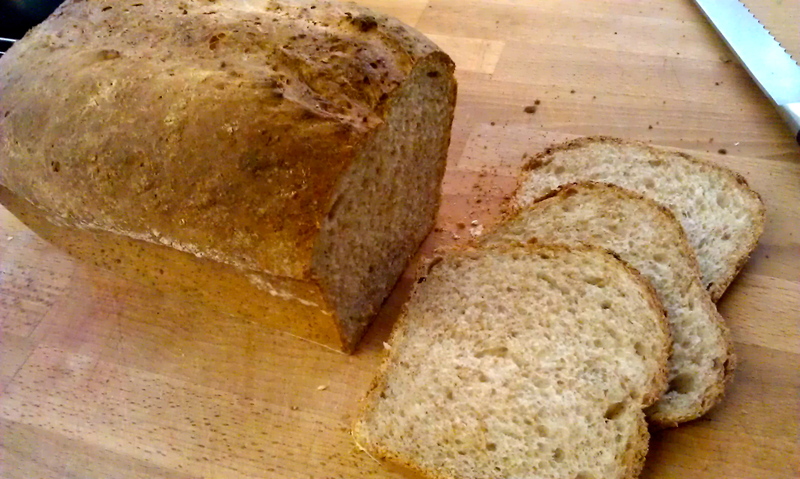 I will not, and can not, be beaten by a bread made from three ingredients. 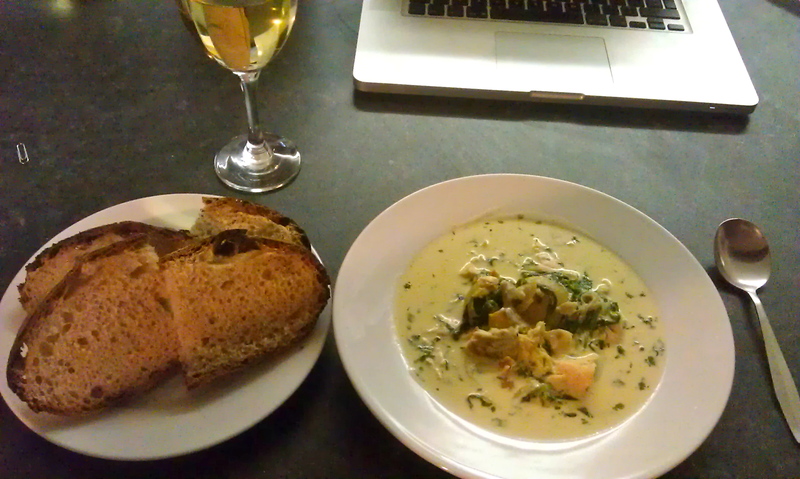 Last night we had smoked haddock chowder, and required sourdough, here is what happened.